Mama is the feisty one on the left. 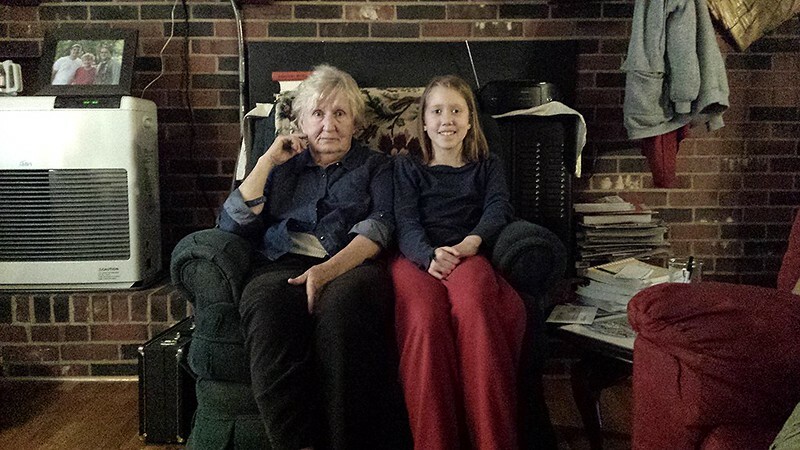 Prairie, 70 years younger, is squeezed into the chair beside her Maw-Maw. Rachel honked her clarinet. Lincoln plucked and bowed his cello. 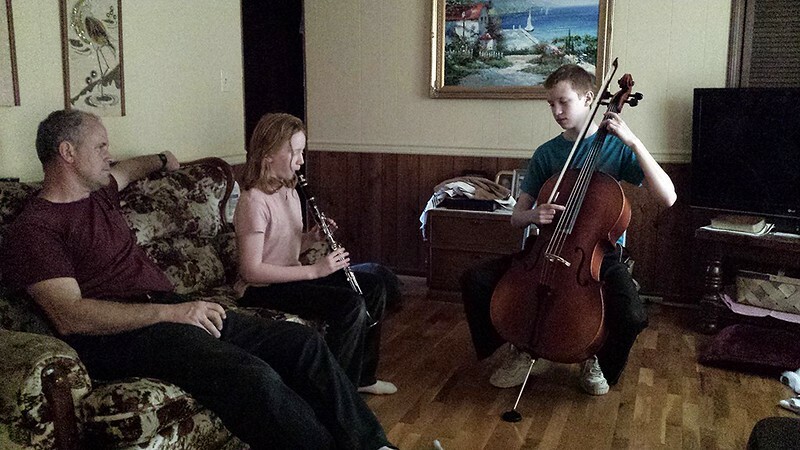 Prairie played her violin, Sidney strummed his ukelele, and I watched my mama eat ice cream. I discovered that this woman, whom I’ve known for almost 45 years, eats her ice cream with a butter knife. How did I miss this little idiosyncrasy all these years? Mama and I have eaten a lot of ice cream together. I must have been totally absorbed in my own ice cream and not looking at her. I tell you, just when you think you know somebody and know yourself — it breaks upon you that she eats ice cream oddly and that you were too self-absorbed with your own to even notice.